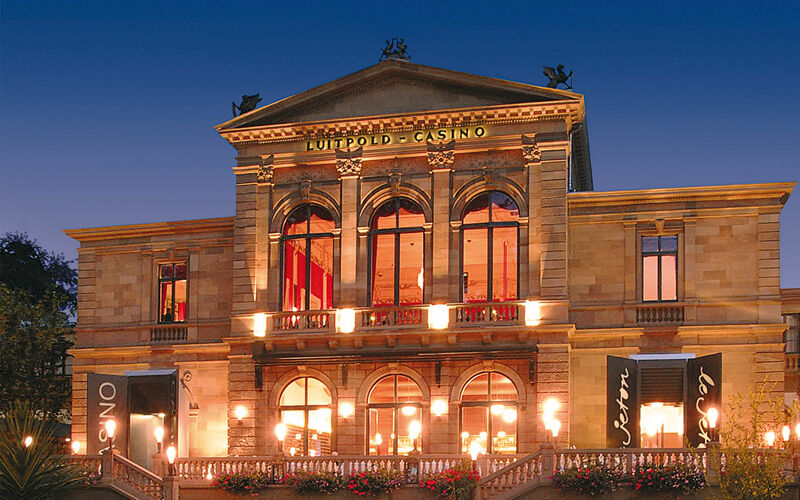 An evening in Bad Kissingen’s Bayerische Spielbank casino has always been considered an atmospheric ending to a day at the spa. Even today, its sophisticated furnishings, with chandeliers, velvet curtains, and floor-to-ceiling windows are reminiscent of the glorious days of old. It is located in the north wing of the Luitpoldbad, which was reopened in 1968 and contains a café and restaurant.